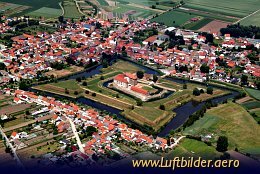 The moated castle in Heldrungen was founded in 1217. After complete destruction it was rebuilt between 1664 and 1668. Remarkable are its defense walls. 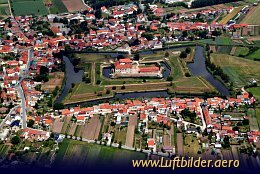 Heldrungen is a small town near the Kyffhäuser Monument. 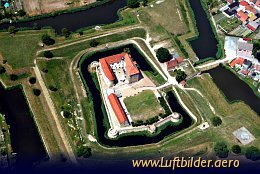 It is marked by the medieaval moated castle of Heldrungen, a fortress with four bastions. After his defeat in Bad Frankenhausen Thomas Müntzer was imprisoned in one of the bastions of Heldrungen Castle.